Devaki MacDonald has been tinkering with the art of jewellery making since she was three years old. Her true passion is travel and during her years travelling, she began collecting found materials, learning a wide range of versatile techniques and creating original and sustainable jewellery. 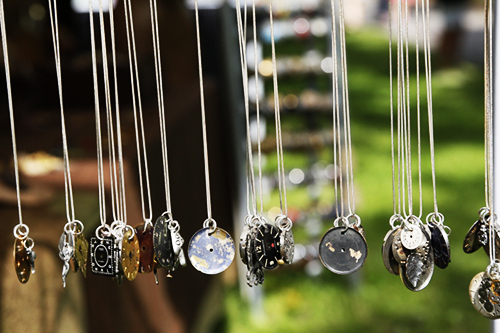 She strives to produce contemporary, imaginative jewellery by transforming abundant supplies of old jewellery, clocks and watches and other found objects into distinctive and innovative handmade items. She is active in the Canadian Artisan scene and the growing sustainable jewellery movement. Click here to view her one-of-a-kind eco-friendly, hand crafted works of wearable art!